If there is something that gets the creative juices flowing, it's being part of an inspiration shoot! Portland Bride Magazine asked us to take part in a spread, and we chose to bring a farm to table brunch concept to life. The tangerine orange, lemon yellow and grapefruit peach color palette combined with neutrals made for a fresh and vibrant table. We incorporated a guest welcome box including amongst other items, fresh donuts, Stiegl Radlers, St. Germain and Prosecco. Definitely a few of our favorite things! We also tried out a new napkin fold, brought in boozy popsicles, incorporated beautifully presented food platters and a cake that was to-do-for. We are in love with the end result! Big thanks to Portland Bride + Groom and the dream team of wedding professionals that helped pull this off! 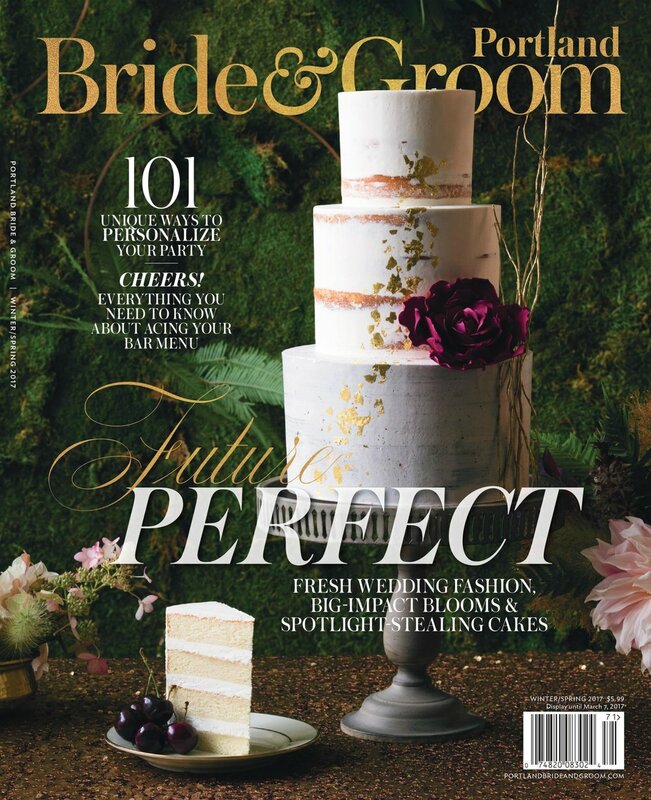 I just realized that I never shared photos from our fab tabletop shoot that we styled for PORTLAND BRIDE AND GROOM MAGAZINE that was published in the Summer/Fall issue! It turned out so great that I just have to post about it…better late than never!! We were inspired by berry tones but wanted to add in modern elements like the chevron printing & backdrop, ghost chairs, mirrored pieces and lamp accent. I absolutely love how everything photographed and came together…what do you think?? Attempting to get the background perfectly straight…its harder than you would think!!! Hailey and I making sure everything is PERFECT. The final table…I’m in love!